Cimeti鑢e (間lise). 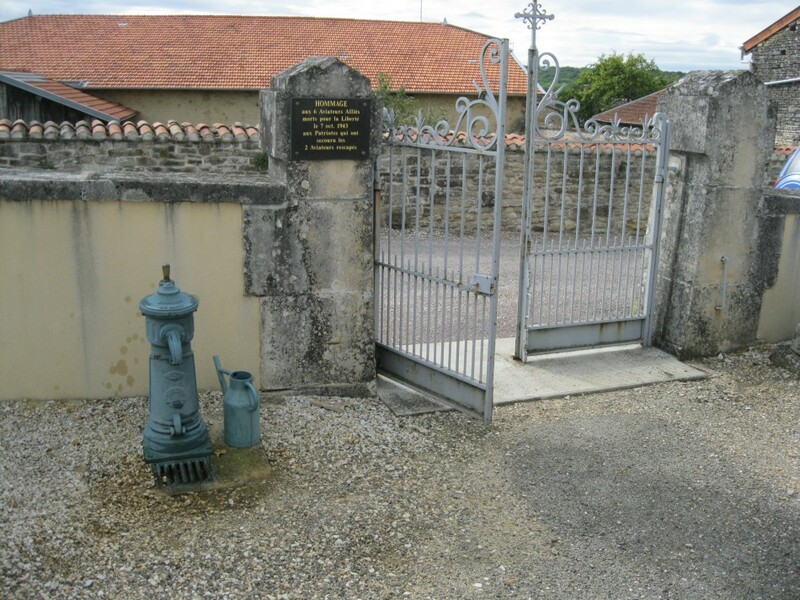 Derri鑢e le poteau d'entr閑 et devant les tombes du Commonwealth. 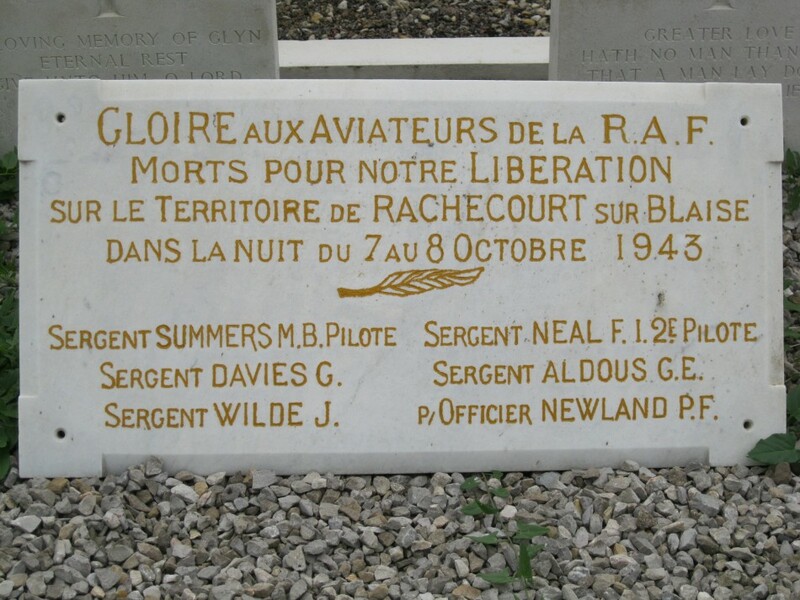 Crash dans la nuit du 7 au 8 octobre 1943, du Lancaster DS689 OW-S Sqn 426. 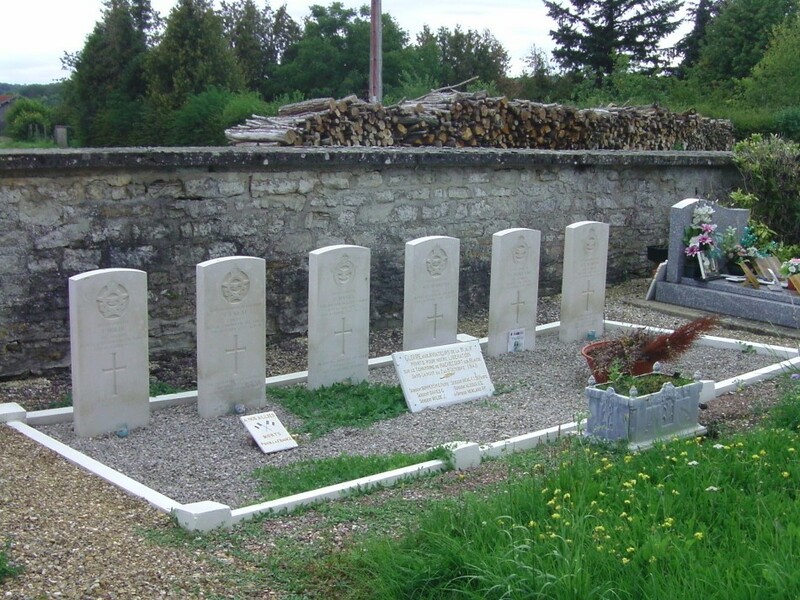 ALDOUS GEORGE EDWARD United Kingdom Sergeant (Air Gnr.) Royal Air Force Volunteer Reserve. DAVIES GLYNDWR United Kingdom Pilot Officer (W.Op./Air Gnr.) Royal Air Force Volunteer Reserve. NEAL FRANCIS JOHN Canadian Flight Sergeant (Pilot) Royal Canadian Air Force. NEWLAND PETER EDWARD United Kingdom Pilot Officer (Air Gnr.) Royal Air Force. SUMMERS MALCOLM BARNES Canadian Pilot Officer (Pilot) Royal Canadian Air Force. WILDE JAMES Canadian Pilot Officer (Air Bomber) Royal Canadian Air Force. 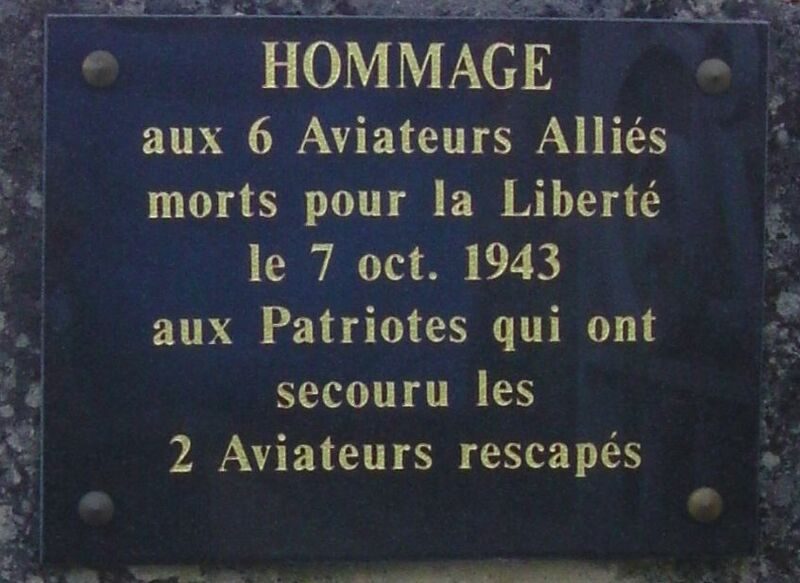 Tandis que les deux aviateurs survivants (F/O JJ Beaton & Sgt CJ Bettesworth) 閠aient secourus par des Patriotes.